An air conditioner replacement is a smart way to drastically increase the value and energy efficiency of your home. However, installing a new AC unit can be a big expense for homeowners. How do you ensure that your air conditioning replacement stays in budget, and avoid hidden costs that could break the bank? Knowledge is key. 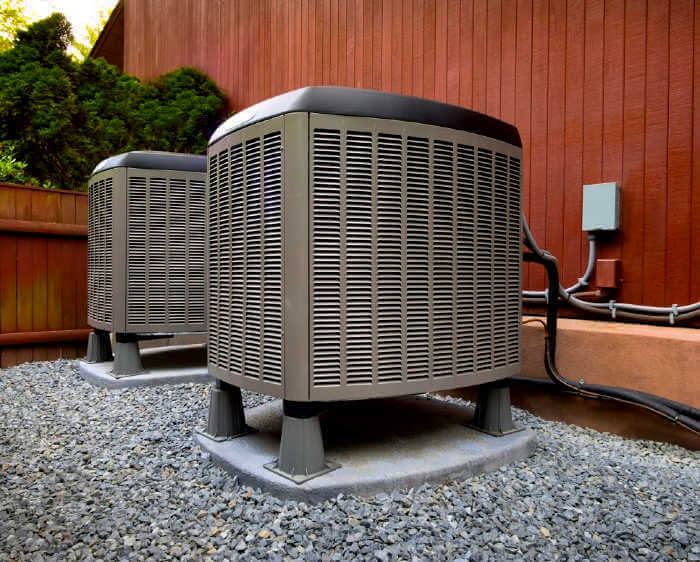 Read on for Modernize’s advice to help you prepare for unexpected costs during your air conditioning project. Begin by determining your baseline air conditioning replacement budget. The average air conditioning replacement cost ranges between $3,500 to $7,525. This includes the unit and the installation. Square Footage: Upon arriving at your property, the HVAC contractor will measure the square footage of your home. This will help determine the size unit needed to efficiently cool your home. A larger home will require a more powerful unit, which will cost more. Repairs: The contractor recommendation may include upgrading attic or crawl space insulation, resealing of windows and doors, or repairing breaches in exterior walls where conditioned air might escape. These precautions may add to the total cost. The Unit: An air conditioning unit with a higher energy efficiency ratio will cost more, but often yield a better return on investment over time. The Seasonal Energy Efficiency Ratio or SEER is a rating that notes the efficiency of the cooling system. The higher the SEER, the more efficient the system. The minimum standard SEER is 13 for air conditioners. Most modern air conditioners have a SEER that ranges from 13 to 21. The Energy Efficiency Ratio or EER is a rating that bases its energy efficiency rating on how the unit would react to an outside temperature of 95 degrees, an inside temperature of 80 degrees and humidity of 50 percent. Labor: Labor costs will vary depending on the size of the crew, their experience, and the scope of your project. However, Modernize encourages homeowners to not select a contractor based on price alone. The quality of work is especially important when it comes to home repair projects. While some aspects of an air conditioning replacement can be DIY, the smartest choice for such an important project is to partner with a reputable contractor. The right contractor will be able to help you set (and stick) to your air conditioning replacement budget and have the experience to foresee any hidden costs. Permitting: Depending on where you live, your contractor may also need to secure permits to complete an air conditioning replacement. Your contractor will manage the permitting process, but be prepared for the cost. Depending on your region, an air conditioning replacement permit may be a flat rate, or it could vary based on your home’s size or value. Replacing Damaged Ductwork: Your home’s air duct system delivers warm or cooled air to different rooms and areas. This duct system is essential for your home’s comfort and energy efficiency— and is very delicate. Ductwork can easily become damaged, ripped, or tangled. Discuss with your contractor if you notice any problems. Rotten Wall Studs: Wall studs are susceptible to rot in moisture-heavy areas of your home (like in basements). This is not always easy to detect. Your contractor may find issues after the drywall has been removed. Electrical Upgrades: Older homes might not have sufficient power available to handle the increased demand with a new unit. Similarly, if other appliances have recently been added, it may max out the electrical panels capacity. If you have an older home, discuss the impact of a new unit on your home. Drywall Repairs: For air conditioning ducts that back up at a wall or ceiling, drywall is usually cut to fit the outer edges. If your new unit is a different shape or style, drywall cuts from the previous unit may need to be repaired. If you can wait, have your new system installed in the fall or spring. Contractors are usually less busy during these seasons and are willing to offer off-season discounts to homeowners. Leave 15-20 percent of wiggle room in your budget. This will allow you to take any hidden issues in stride without impacting the rest of your air conditioning replacement. This may seem like a large buffer, but it’s better to plan ahead and for the unexpected. Be transparent with your contractor about your budget. Let them know about your budget constraints up front. This will help them determine the most realistic way to reach your desired end result and help them as they purchase supplies for the project. All in all, having a reliable and honest air conditioning contractor is perhaps the easiest way to avoid hidden costs during an air conditioning replacement. Take advantage of Modernize’s tools to find a trusted local contractor.